Nominations are being accepted now for Distinguished Alumni 2018. Submit to Barney Ottinger at scpa1237@aol.com. Distinguished Alumni Hall of Fame! Their induction will take place on Senior Day, May 10 at 9:00 a.m.
New Football Coach is Here!!! 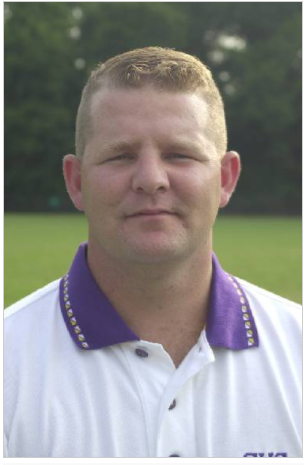 Coach Curt Jones has returned to CHS as the head coach of the Purple Pounders!! Jones, 44, led Central to the playoffs in two of his four previous seasons, including an 8-4 record in 2003 when the Pounders reached the second round before losing to eventual state champion Maryville.